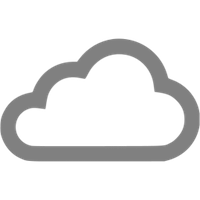 Copenhagen Mist is a Copenhagen-based Cloud Consultancy founded in early 2016 by the former leads from Sitecore’s Cloud Services product development group. We are specialised in Azure PaaS, and global Sitecore deployments on Azure and have been working exclusively in this domain since 2010. We are a Managed Microsoft Partner, Microsoft Cloud Platform Partner as well as Sitecore Implementation Partner. We provide insights, help navigate through Azure services and architect solutions and practices. It all starts with assessment and understanding. We build that through our standard consulting engagements. We are who we work with. Leveraging strong and deep partnering, we bring our clients closer to great solutions. Our Microsoft Partnership is deep and long standing. Formally as Managed partner with Cloud Platform Competency and as a Tier1 CSP provider. We have since 2010 been in close contact and cooperation with the Azure product teams and are to this date selected as Azure Advisors. Thanks to our close relationship to Microsoft we constantly monitor actual cloud trends and make sure that we deliver relationship value to our customers. Our team originates from within Sitecore, and has led the cloud development for years. Naturally Copenhagen Mist is today an engaged Sitecore Partner, and accelerate other Sitecore Partners with our Azure Services.